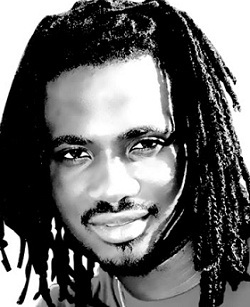 Caribbean Lifestyle Media: Reggae's latest sensation I-Octane is gearing up to release a new album for the summer titled, "Crying To The Nation". Octane who released a single by the same name will be working with Robert Livingston [CEO of Scikron Entertainment/Big Yard label]. For those who have experience I-Octane's performance they can concur with what Livingston said in Jamaica Gleaner, "Octane is one of those artistes who have the potential to become a real superstar out of Jamaica, he has shown all the good things about being an artiste, writing, performing. He has the look, he has a nice personality. As a person he loves people, and he loves what he does. From working with him I see the energy that he has. We need people like him to keep the movement going." Octane will be working with producers such as DJ Frass, Steve Lock, Seanizzle, Dean Frazer, Bobby Digital, Jeremy Harding and Nigel Staff, Don Corleon, Christopher Birch. Octane told the Gleaner, "First and foremost I want to keep it positive so that people can relate to it across the globe. I want to keep it positive and spiritual so that people can feel the songs in the hearts, when I tour, people are saying that the authentic music is not really coming out of Jamaica anymore, so I want to keep that side of it going too."